New to Apple®, iPhone®, iPad®, iOS®, or OSx® and need some help? 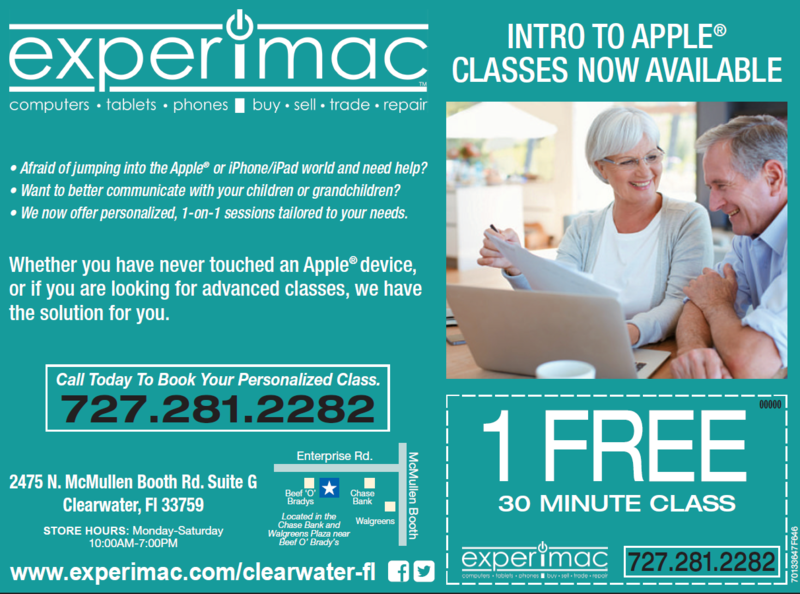 Experimac Clearwater is a great resource for learning all about your new device, equipment, or software. They offer one on one, individualized training classes based on your needs. Classes are 1 hour, when you book your first class you will get the first half hour for free! This is a great way to learn the basics, communicate better with children or grandchildren, or get help with more advanced topics. Call Experimac Clearwater (727) 281-2282 to schedule your first class, or to get more information visit them online or on Facebook.